With over 500 photographers working in our shops, and thousands of conversations taking place with our customers every week, Jessops are uniquely placed to select the best cameras and accessories available in the market. Jessops is the UK's largest High Street camera retailer and we are able to work closely with the world's top manufacturers to ensure our customers get the very best deals. The Jessops TR125 Tripod features a 3-way head for great stability and accuracy in framing your subject. 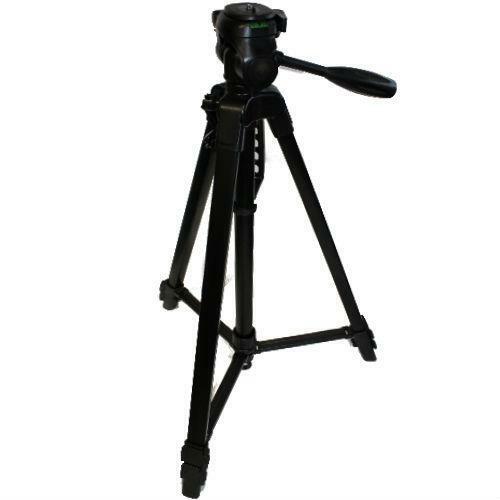 This professional tripod comes complete with a quick release plate with safety lever and a spirit level that allows fast but accurate set-up. It features sturdy 26.5mm upper leg section, a geared centre column and centrally braced 3-section aluminium alloy legs for maximum stability in the regular or semi low-angle setting. Heavy duty rubber-armoured feet offer excellent grip and stability on virtually any surface.